2018-2019 Test Days - skatemorrisburgs jimdo page! The Skate Canada Test program offers opportunities for skaters (usually at the STARSkate or Competitive level) to develop basic skating skills in four different areas: Dance, Free Skating, Skating Skills, and Interpretive. These areas are grouped into three levels: Primary (Preliminary, Junior Bronze), Intermediate (Senior Bronze, Junior Silver) and High (Senior Silver, Gold). A skater begins at the Primary level, and only after successful completion can he or she move on to the next level. Test Days are set up at the beginning of the skating season by the Club Test Chair. What happens when your skater is ready to try a test? Approximately one month prior to each of these Test Days, the Test Chair will ask for a “preliminary” list of tests from each skating coach. Two weeks prior to a Test Day, coaches will submit a final list to the Test Chair. Most coaches will discuss the decision to keep or pull tests with both the skater and parent prior to submitting the final list. From the final list, the Test Chair will issue Test Envelopes, which indicate the necessary test fees for each skater. The Test Chair will also prepare the Test Day schedule and will post it on the Club bulletin boards in the Club office and at the arena floor. It is the responsibility of the skater and parent to be aware of when the Test Days are, and to make sure all test fees are paid and test times are known. Results of each Test Day are collected by the Test Chair. Passed tests are recorded on individual skater Test Record cards that are filed in the Club office. Upon successful completion of each level, the Club recognizes these accomplishments by purchasing badges which are handed out to the skaters at the year end banquet. We cannot stress enough the importance of regular communication between skaters, parents, coaches and the Test Chair. We all have a role to play in making our test days a success. Please keep the lines of communication open! What happens on the test day? What do I need to do? Approximately two weeks before Test Day, you will receive a test envelope explaining the required fees: Test, Ice, Administration, and Dance Partner (if applicable). Please submit your envelope with payment to the Test Chair. These fees are used to cover the costs of running the test day. For example: fees sent in to Skate Canada to register the test results, evaluators mileage and gift, ice fees, judge finder fees and hospitality. The Test Day Schedule is posted on the Club bulletin boards in the Club office and at the arena floor. Generally 7 to 10 days prior to Test Day, as long as the Test Chair has all the required information needed to post the Schedule and the Evaluator assigned has approved it. 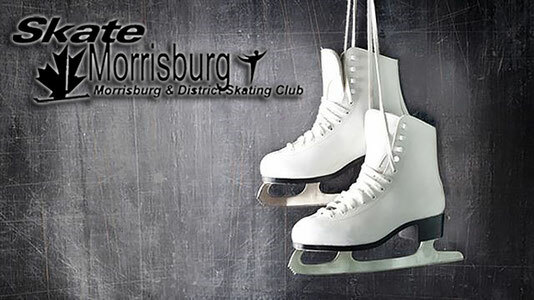 Skater should arrive 1/2 hour prior to the start of their warm-up, if they are in the first group, and 1 hour before the warm-up for all other groups. There is a possibility that the test day could run ahead of schedule and the test chair will not hold up the test day for skaters who do not check-in at least 1 hour before their scheduled test. Generally, the warm-up lasts from three to ten minutes, depending on the test and the number of skaters. During the warm-up, coaches and dance partners spend time with their skaters. Parents may sit in the lobby or in the stands. If in the stands, please be sure not to obstruct the test evaluator’s view. Skaters may take their skates off and then wait for their results. Please keep in mind that it may take some time before the results are released, depending on when the test evaluator has time to sign the test evaluation result sheets. A volunteer or coach will deliver the results as soon as they are ready. An ice captain is a volunteer who makes sure that skaters have arrived for their tests and will call them when it is time for their warm-up. On Test Day, the skating office is restricted to Test Day volunteers, coaches, and the test evaluator.